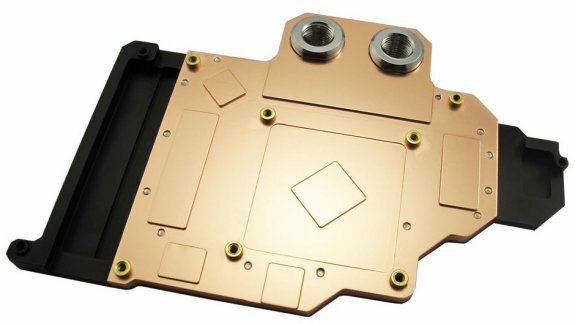 TPU received details about XSPC's new Razor 7970 waterblock for AMD Radeon HD 7970 and 7950 reference design graphics cards. The block doesn't take up an additional expansion slot, it measures 220mm x 142mm x 9mm (18mm at the ports). 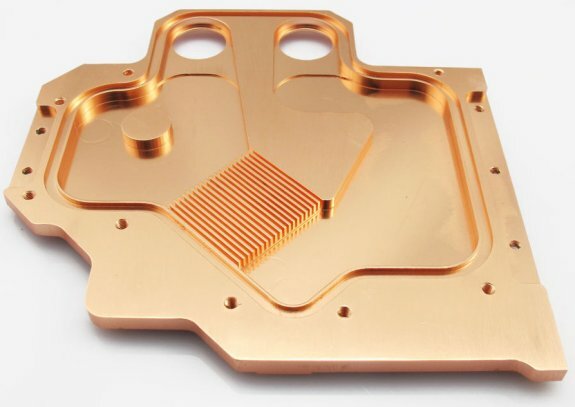 Most of the block is milled out of a block of copper, the VRM area is made out of aluminium and the top plate is made of CNC-cut stainless steel. The portion of the block that's over the GPU is ridged, making copper micro-fins, that increase dissipation of heat to the coolant. The top is made of CNC-cut stainless steel. The block is ready for CrossFire setups with four G1/4″ ports, two G1/4″ plugs are included. Listed on the company's online store (currently out of stock), the XSPC Razor 7970 is priced at £82.67 (US $131).